/ Diesel Engine Use In The U.S.A.
Diesel Engine Use In The U.S.A.
With petroleum processors deriving different fuels from crude oil, more companies across America are utilizing the fuel-efficient, low-sulfur diesel fuel as an alternative to gasoline fuel. The U.S. Energy Information Administration (EIA) reports that diesel fuel accounts for seven percent of energy used throughout the nation, becoming the second popular fuel source for companies in various industries. Because of the essentiality of fuel in many applications, homeowners and businesses alike are searching for more cost-effective ways to save on energy usage. 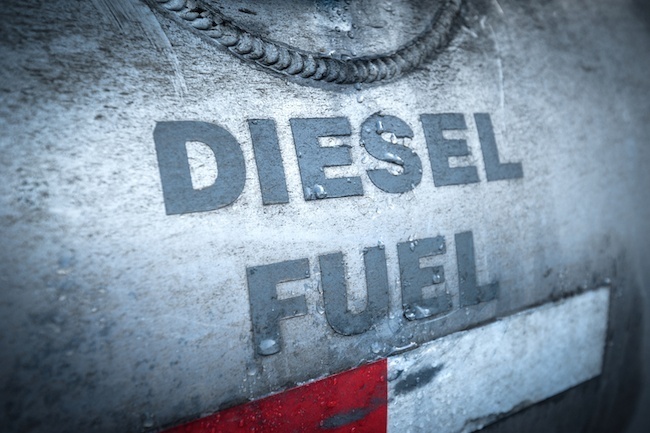 Whether it is driving down the highway or providing power during blackouts, diesel fuel has become extremely advantageous in small and large vehicles. Many companies are taking advantage of this low-sulfur fuel source, utilizing it to help decrease their overall fuel costs and increase their vehicles’ durability against regular wear and tear. The following list of usages shows how diesel fuel plays a vital role in today’s economic infrastructure. Designed to meet the needs of homeowners and commercial businesses, diesel fuel has become a top fuel source for small and large generators. Generators offer a cleaner, more affordable standby power that helps reduce the overall costs of having constant backup power and provides the necessary electricity during times of power outages. Hospitals: Emergency backup generators are vital components in major healthcare facilities. Because of the critical work nature of these facilities and the specialized needs of the patients, power failures are not an option. Generators provide the reliability and durability hospitals need to continue working with patients during natural disasters and power outages. Data Centers: With computers being the heart of America’s industrial infrastructure, server and system failure can result in lost communication, data loss, idle workers, and stopped businesses. Because of the damage that could occur to the commercial sector of the economy, almost all telecommunication and communication companies utilize diesel generators as a primary backup source of power. Many retailers and shipping companies use heavy vehicles, such as buses, trucks, and trains, to transport goods and services to retailers and consumers across the nation. These vehicles need to have a durable engine to withstand the thousands of miles placed on it, and fuel economy plays a vital role in keeping overall shipping costs low. Generating 20 to 40 percent more fuel economy than gasoline-powered vehicles, diesel engines are known for withstanding a lot more wear and tear than gasoline engines. Diesel offers a reduced fire risk in the event of an accident because of its composition. As these engines produce reduced emissions than those coming from gasoline-powered engines, diesel fuel helps clear the air and slow global warming effects. More and more commercial fleets run on diesel engines, including public transit systems and school buses. In the agricultural industry, many farmers are utilizing diesel engines to power up their tractors and irrigation pumps. Farmers are searching for ways to keep their overall costs low, and diesel engines keep fuel costs more affordable for larger farm equipment, such as harvesters and threshing machines. The construction industry also relies on diesel energy to bring power to concrete pavers, rollers, scrapers, excavators, and trenchers. Since the 1930s, airplane companies have been utilizing diesel-powered engines to power up various types of aircraft. With the newer diesel designs having a power-weight ratio that is comparable to ancient spark-ignition designs, airplanes offer an easier operation compared to spark-ignition engines. From personal jets to commercial airlines, diesel-powered aircraft utilize electronic ignitions, advanced engine-management systems, and fuel injection to ensure optimal performance and fuel efficiency levels. Because diesel fuel costs less than petrol, several manufacturers are now selling diesel-powered engines to airplane companies for this purpose. Water transportation has become a huge activity for vacationing families, especially when it comes to boats with high-speed engines. From jet skis to speed boats, families want a boat that has immediate power without the added costs that come with gasoline fuel. Diesel fuel provides quick acceleration without burning excessive amounts of fuel. Even ships and cruise liners have implemented the use of large diesel engines to transport people across the high seas, with these engines being 15 meters tall, turning between 60 and 100 rpm, and holding power outputs of up to 90,000 kW. The mineral extraction sector relies mainly on diesel power to find and harness natural resources, and mining companies operate diesel-powered drills and shovels to extricate precious metals, oil, coal, iron ore, and gas from the soil. At this time, diesel fuel accounts for about 72 percent of the mining sector’s energy usage. Both underground and surface mining operations utilize diesel-powered equipment to dig up materials, loading these precious metals onto enormous mining trucks and conveyer belts. Mining companies have taken advantage of off-road vehicles that have 2,500-horsepower engines to haul 300 tons of material per load, requiring a fuel-efficient energy source. The United States military utilizes diesel fuel to power trucks, tanks, and other vehicles. Because diesel fuel is less flammable than gasoline, diesel has a decreased chance of exploding if the engine is hit. Diesel fuel helps protect military personnel and troops from vehicle-induced injuries as well as reduces the intensity and risk of fire and explosions during combat. Military vehicles with diesel engines offer a higher level of reliability and durability, minimizing the chances of stalling when on a run. According to the EIA, a gallon of diesel fuel offers 30 percent more energy than gasoline, which results in improved efficiency and the ability to power larger equipment. With more and more companies across America taking advantage of diesel-powered vehicles to fulfill their work quotas, diesel mechanics and technicians have various employment opportunities within this industry. A 2012 report from the U.S. Bureau of Labor Statistics (BLS) shows that the employment outlook for diesel mechanics is predicting a 21,600 increase in jobs throughout the United States. This increase will bring job stability and advancement opportunities for those who enter this field of expertise. With diesel fuel growing in popularity among businesses and consumers across America, manufacturers are continually advancing their diesel technology to make these engines more economical and clean. Businesses have begun practicing cleaner energy use to reduce greenhouse emissions from the environment, and diesel fuel offers a low-sulfur fuel alternative that promises to do just that, providing many environmentally friendly applications for homeowners and businesses.